There are many options for feeding your plants in a crash… start with these 5 fertilizers you can grow yourself and you’ll be on the path to grid-down survival gardening. If you want to get a good yield on more plants, you need to fertilize – but what do you do when everything collapses? When you can’t run down to the store and pick up a bag of 10-10-10 or bloodmeal? The little ball on the top left is a colony of nitrogen-fixing bacteria. Nitrogen is the top nutrient plants need. Fortunately, it’s also one of the easiest to produce. 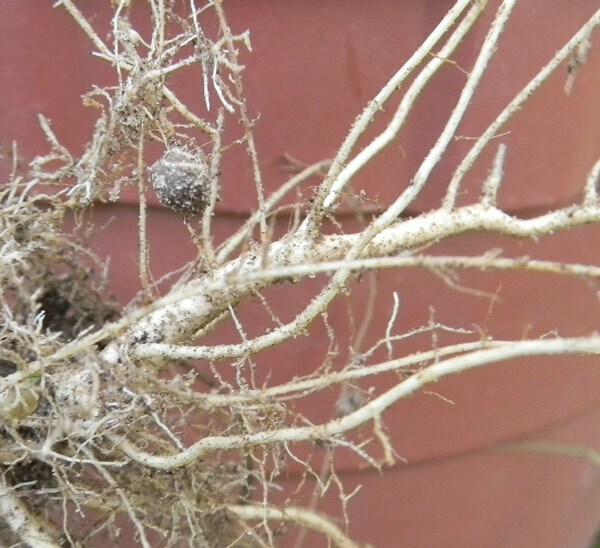 In fact, some plants literally create it out of thin air and conveniently place it in the soil for you through a process called “nitrogen fixation.” Nitrogen-fixing relies on specific bacteria that live in the root zone of some plants, most notably ones in the bean and pea family. If you plant a patch of peas, then till them into the ground, you can plant a relatively needy plant like corn afterwards and it will do fine. The following crop will do even better if you till the peas under before they set many pods – that way, the nitrogen remains in the plants, rather than making it’s way to the dinner table in the form of peas. You lose the potential harvest, sure – but the next crop will thank you. I plant lentils in the early spring and mung beans in the summer when I need nitrogen-fixing cover crops. Clover, alfalfa, vetch, soybeans and chick peas are just a few of the many nitrogen-fixing legumes that are worth trying in your area. Alternately, if you don’t feel like “growing” nitrogen, you can just start collecting your urine (and the urine of any volunteers you can enlist). Urine is loaded with nitrogen. Thin it with 6-10 parts water before applying to plants, then watch them green up over the next week. It’s amazing stuff. Comfrey is the king of chop-and-drop plants. Permaculture enthusiasts swear by it as a soil improver. Plus, it’s good medicine. As a fertilizer, comfrey is particularly high in potassium. It also contains a range of other nutrients, thanks to its excellent ability to dig its roots deep into the soil in search of minerals. If you live in the very Deep South, it may not flourish for you… but through most of the country, it’s almost a weed. As a bonus, comfrey is perennial. To make a liquid fertilizer, chop off the top of a comfrey plant and throw the leaves in a bucket. Cover with water and let them rot into green liquid… then water whatever needs a boost. Beautiful and nutritious plant food! For gardeners in USDA zone 8 and higher, Tithonia diversifolia (also known as “Mexican sunflowers”) makes another great fertilizer. It’s a perennial that will grow back from the ground provided the soil doesn’t freeze… and it grows really, really fast… all the way to 20′ tall. Mexican sunflowers are a very good source of phosphorus as well as other nutrients. You can chop them down multiple times every year and they’ll just keep growing back. They’re also beautiful in the fall when they bloom. 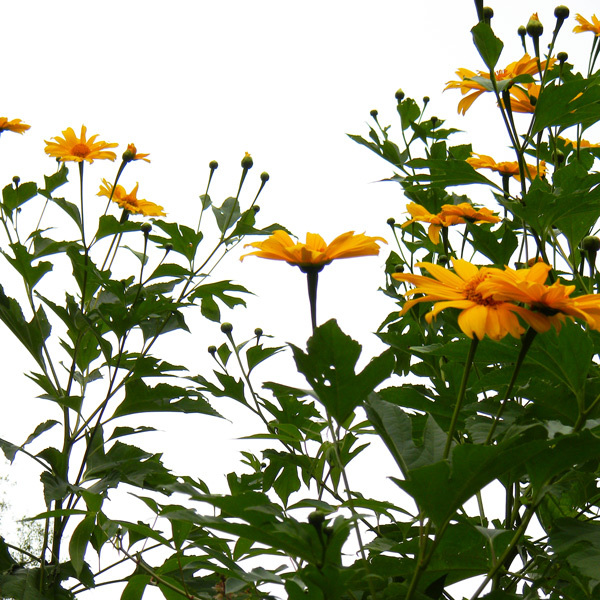 Find out more about Mexican sunflowers here. Manure is one of the best fertilizers for your garden. Not only do manures contain nitrogen, phosphorus and potassium, they also contain a range of soil life, organic matter and trace elements. My favorite manure-makers are chickens, though there are better balanced droppings available from other animals such as rabbits. If you use some caution, you can even compost human manure… which certainly beats being stuck without fertilizer in a crisis. I wrote an in depth post on manure you can check out here. Even if you don’t keep animals for meat, keeping a few for manure might make sense if you have enough grazing land. Most everyone has encountered duckweed at some point. It’s a tiny floating plant that has the ability to rapidly cover a pond in a short period of time. Pond owners often hate it for that reason… but their pain is our gain. I have a friend who has a few long, shallow ponds that are completely covered with duckweed. He regularly goes out with a skim net and fills buckets with the duckweed, then feeds it both to his plants and to his bin of composting worms. Though I haven’t experimented heavily with duckweed, I do know that it’s filled with protein… and protein = nitrogen. 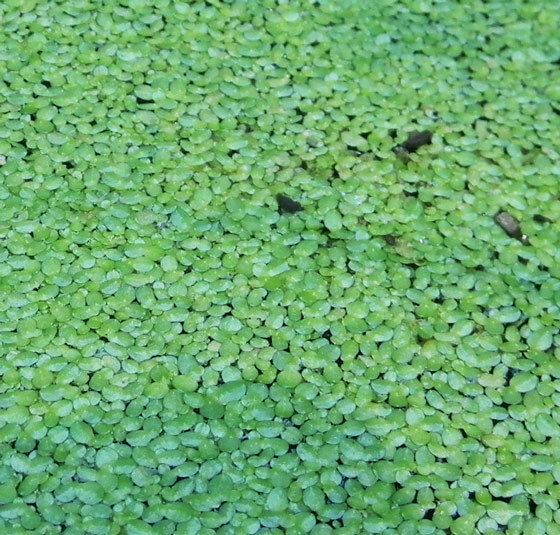 One woman reports that duckweed has worked well as a fertilizer in a citrus orchard. Worth trying, especially considering how little work it takes to grow this tiny green powerhouse.